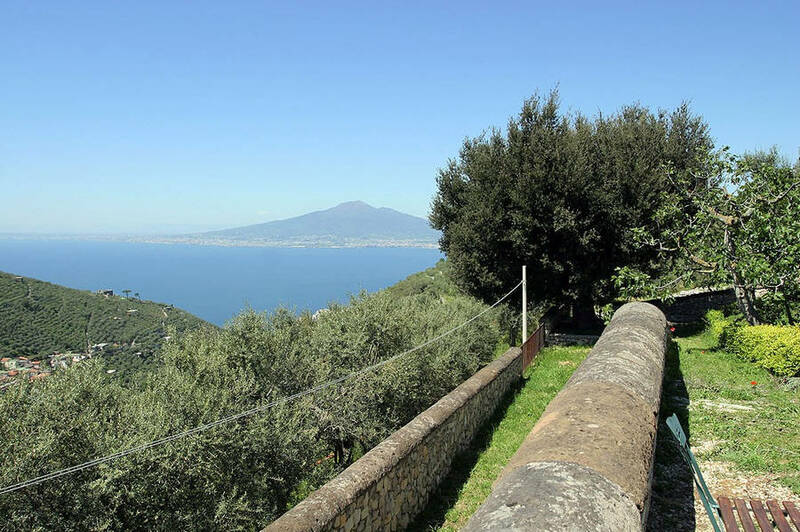 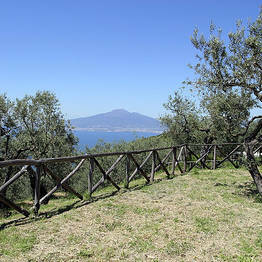 From the hilltops of Vico Equense, the view over the Bay of Naples and the Sorrento countryside is stunning. 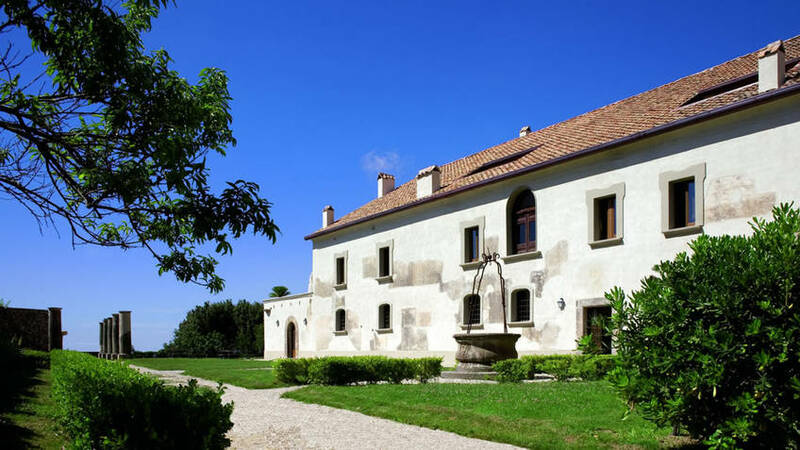 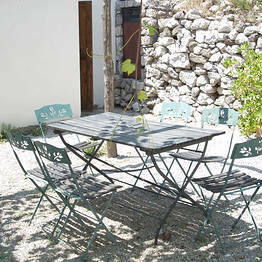 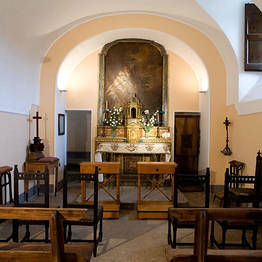 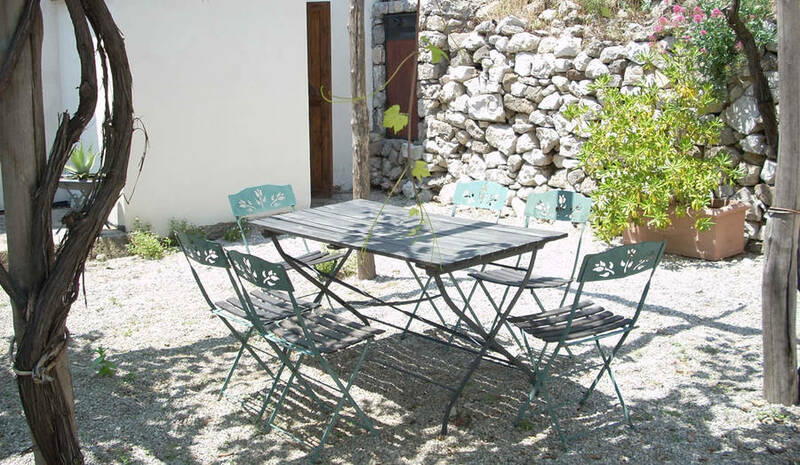 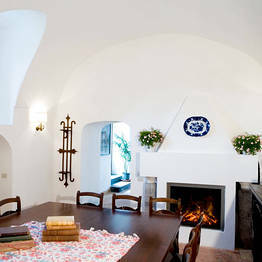 On this breathtaking spot, surrounded by the soothing silence of the lush hills, Masseria Astapiana Villa Giusso, a historic 17th century monastery turned agricultural estate, blends the charm of a historic noble villa with the authentic atmosphere of a rural residence in an unforgettably welcoming accommodation for anyone visiting this lovely corner of Italy. 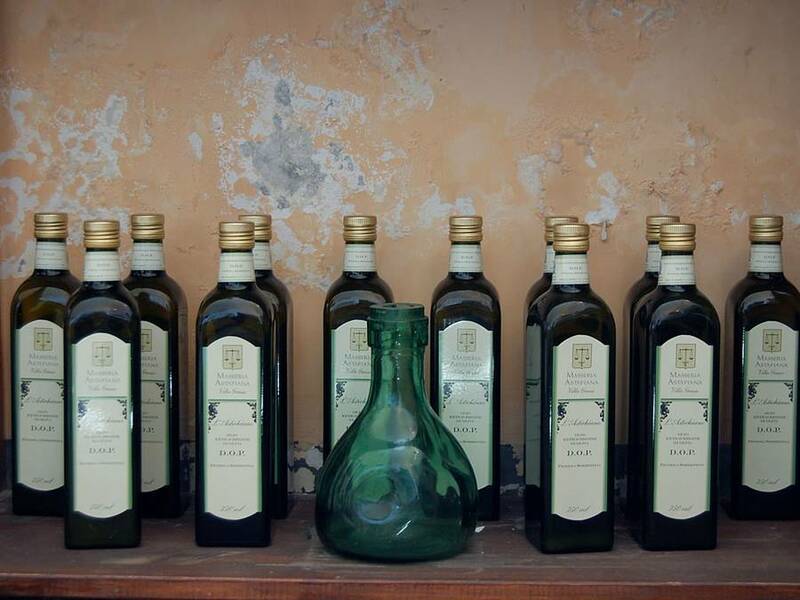 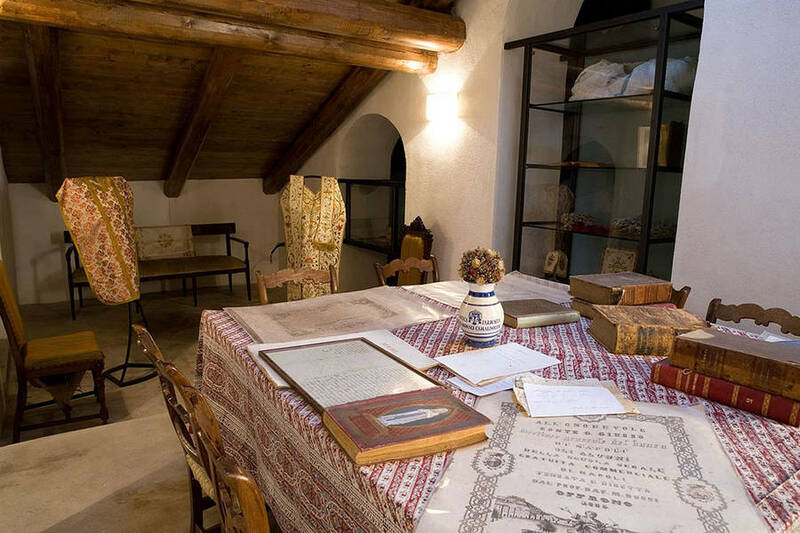 At the Masseria Astapiana, every detail bears witness to the estate's noble past. 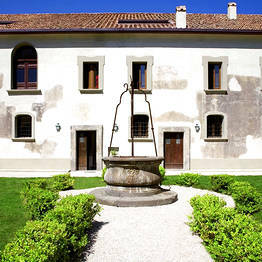 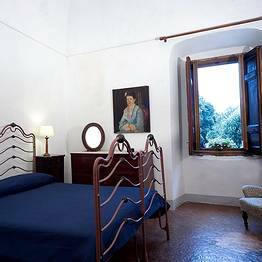 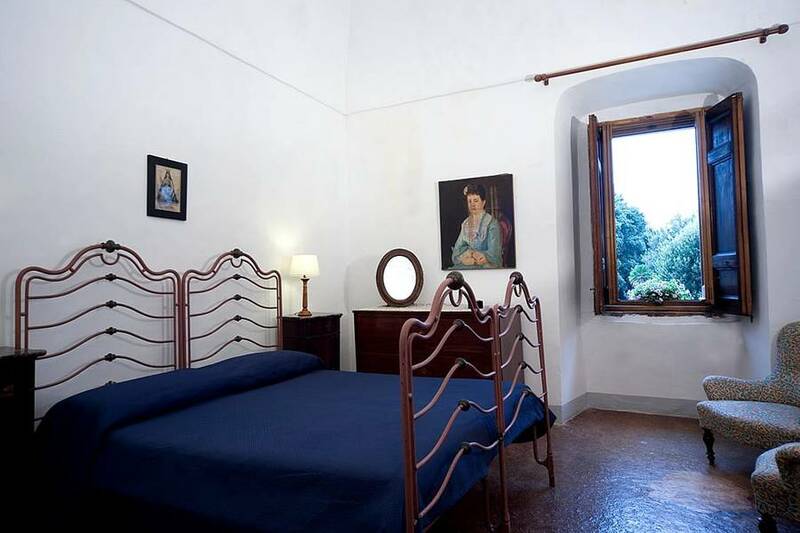 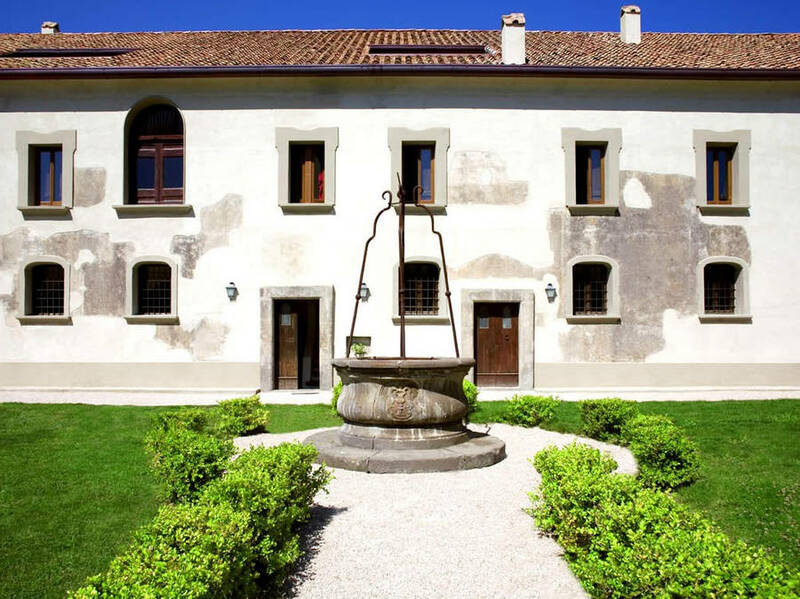 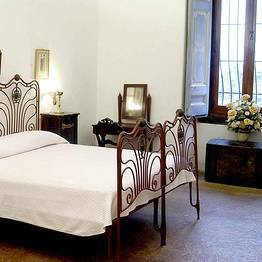 Even the guest rooms are located in the former monastic cells, now decorated with antique furniture and decor and timeless wrought iron beds. 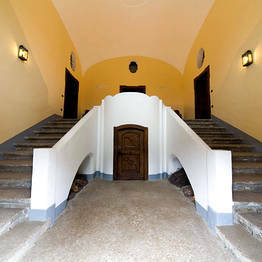 The soothing architectural lines of their austere origins combine this sense of the past with the comforts of today. 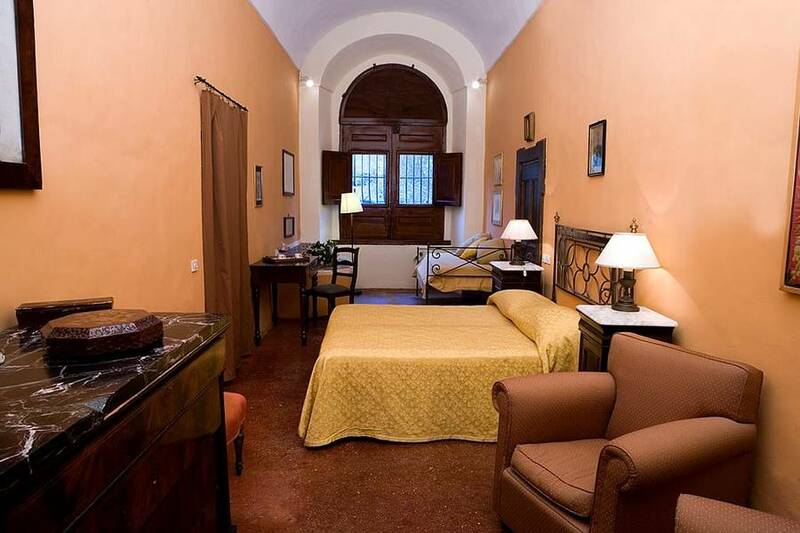 In addition, for those travelling with children, the larger Family Suite is perfect for the whole family. 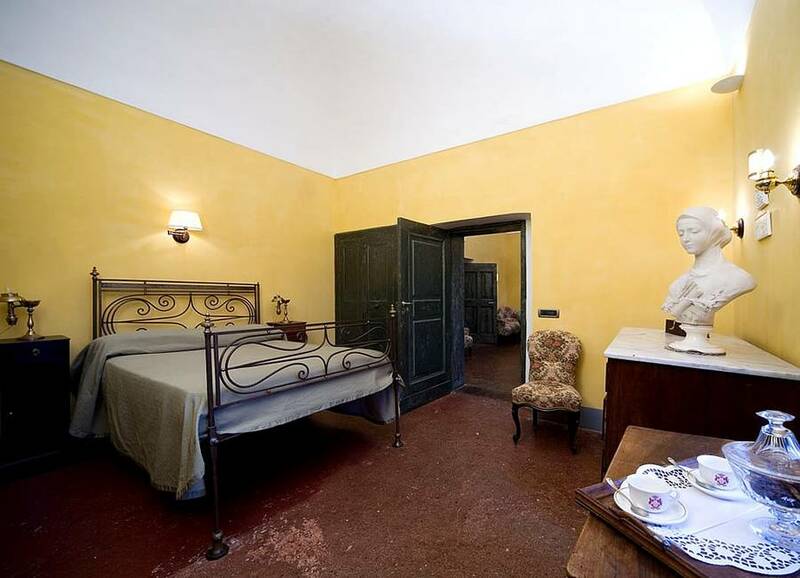 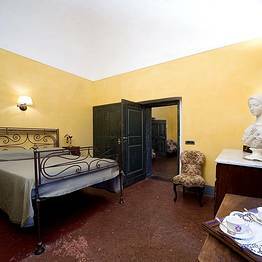 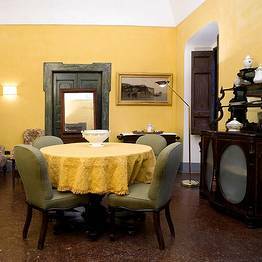 If you want to spend your holiday in complete independence and privacy, book the Suite Annunziata, a separate annex set away from the main building and featuring a kitchenette and living room. 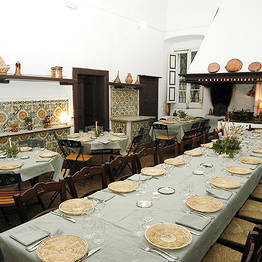 The kitchen at Masseria Astapiana Villa Giusso is the heart of the estate. 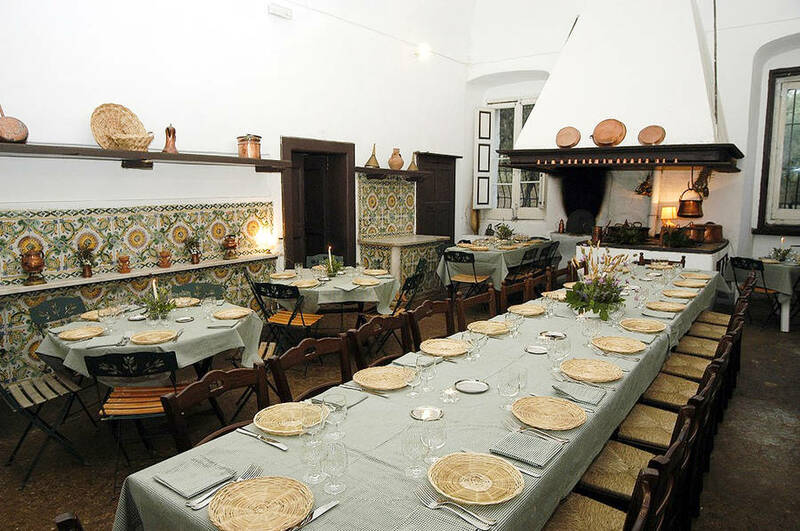 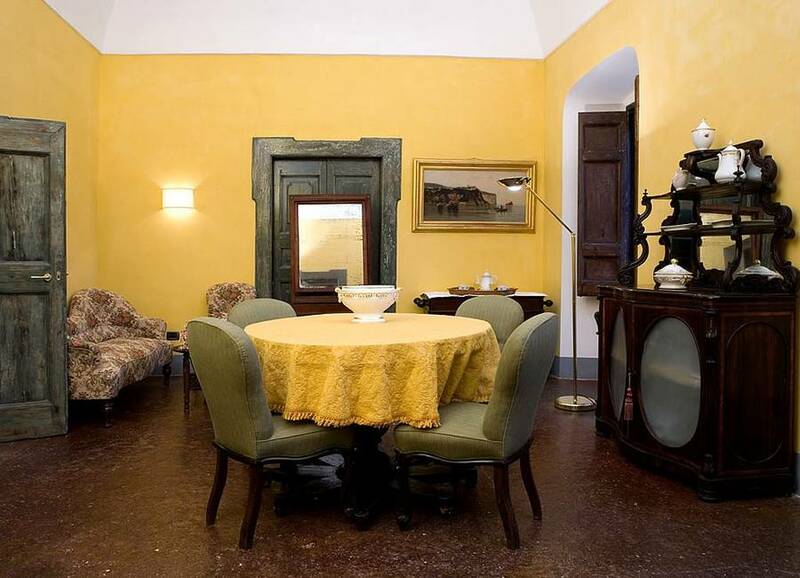 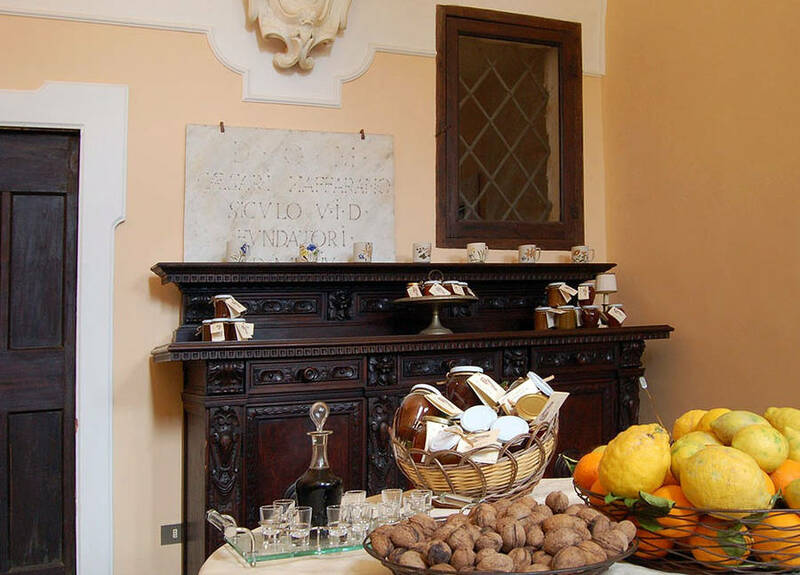 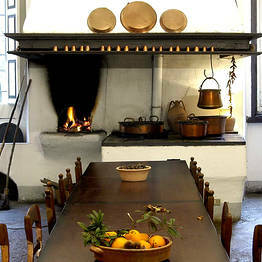 A 17th century historic kitchen with its original fireplace and colorful handpainted majolica tiles, this is where guests can discover the authentic flavors of Italy's Sorrentine Peninsula. 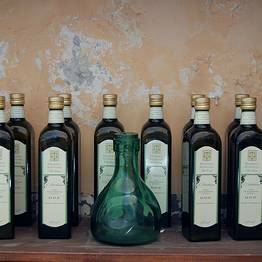 Each morning, guests gather here for breakfast and during their stay can participate in tastings of traditional local products, including those produced on the estate's farm. 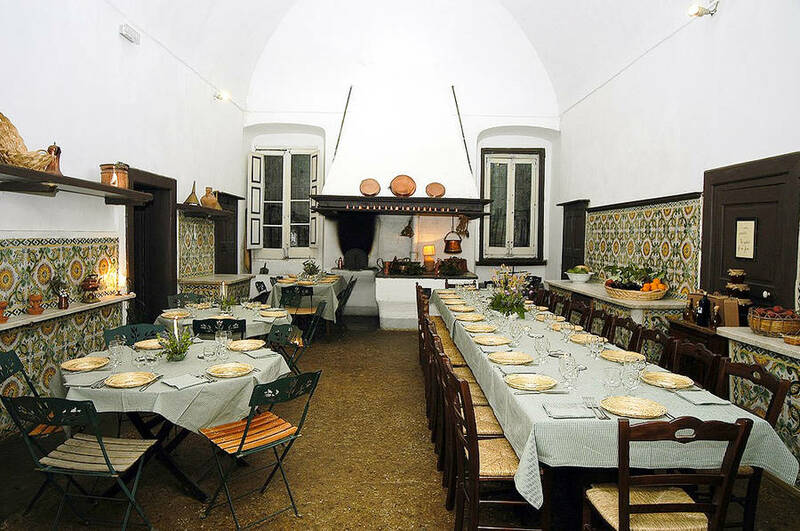 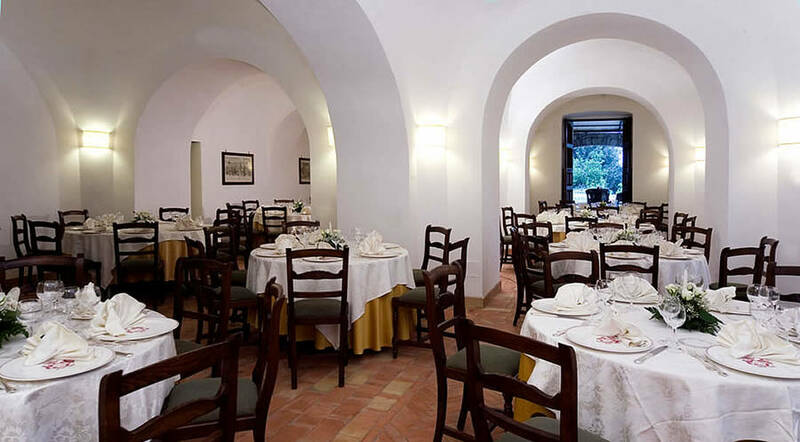 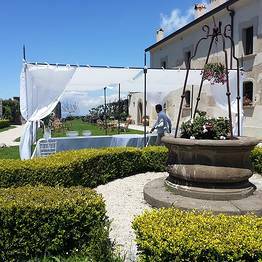 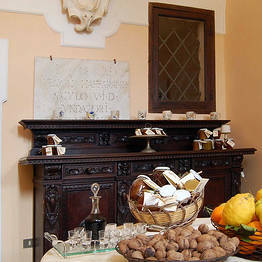 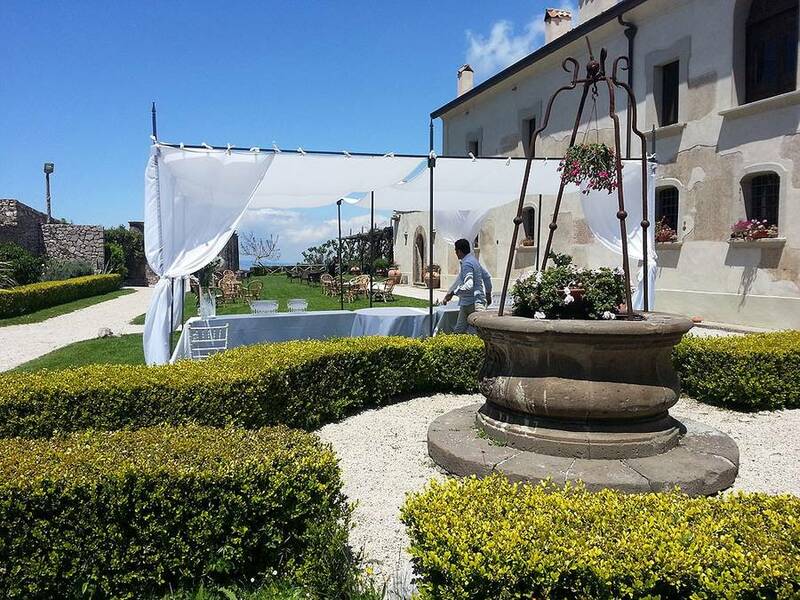 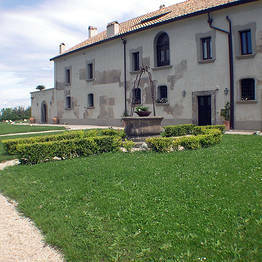 This is also where guests can take cooking lessons upon request, or sit down to a traditional Neapolitan dinner with a menu based on produce from the estate's own private garden. 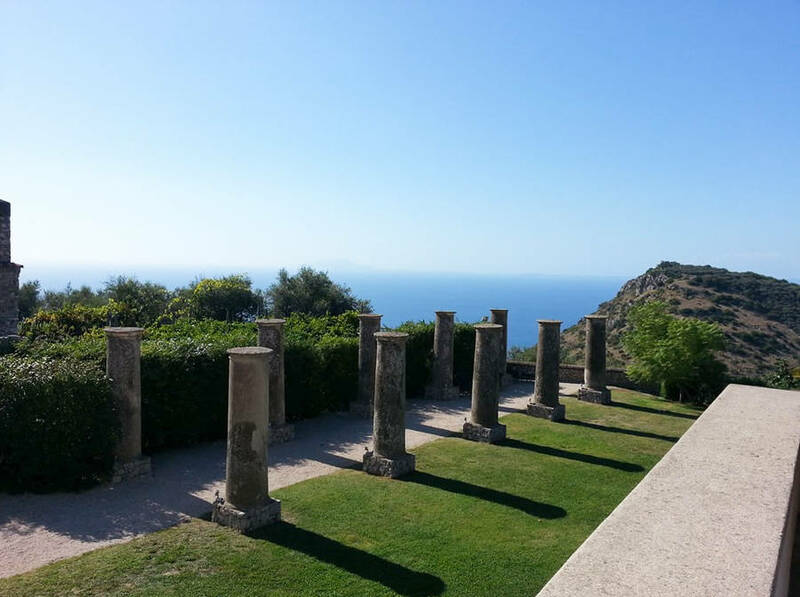 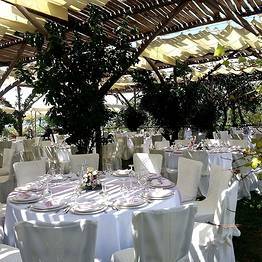 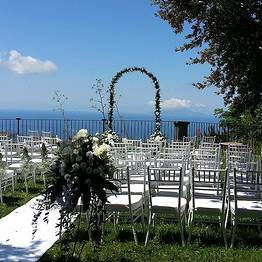 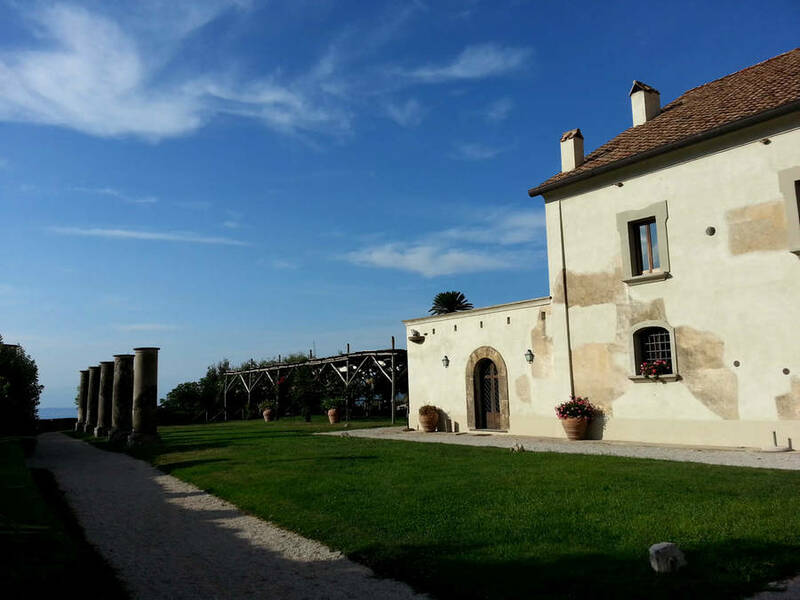 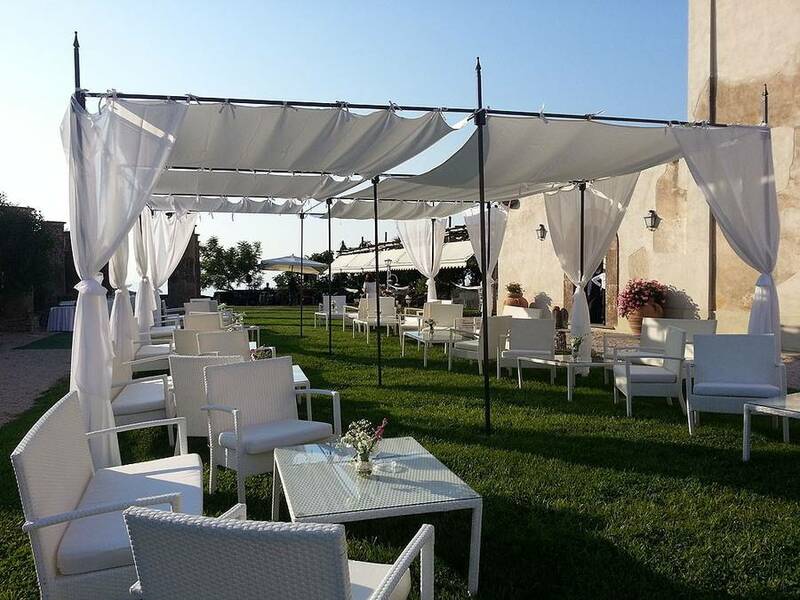 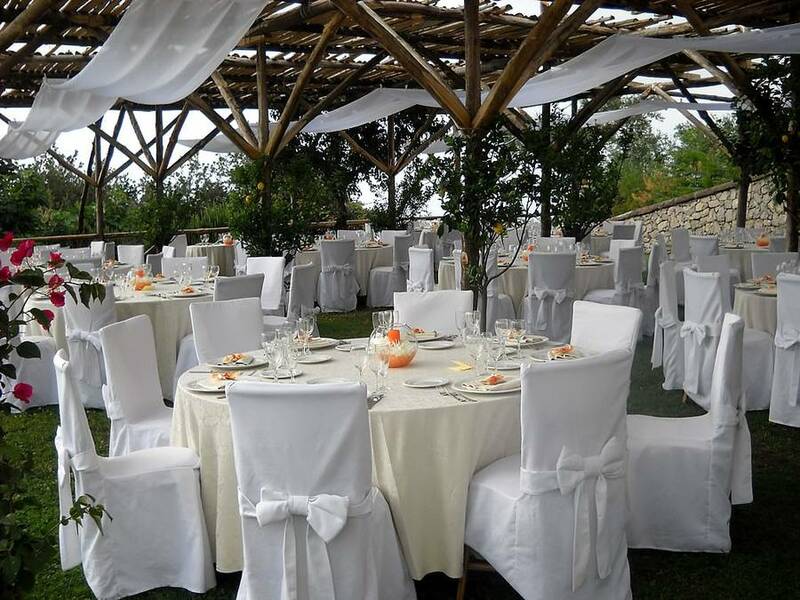 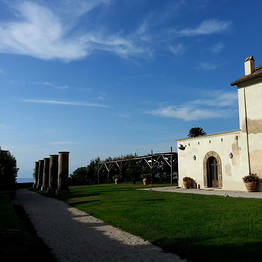 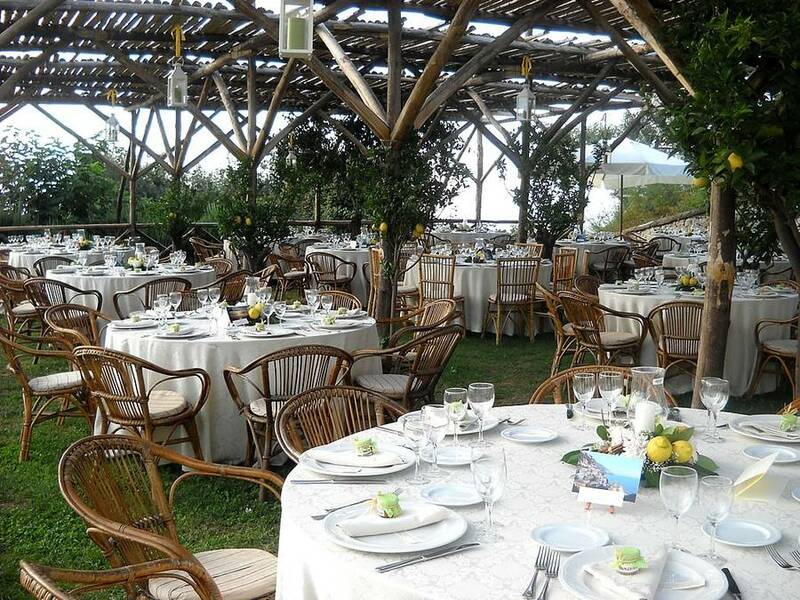 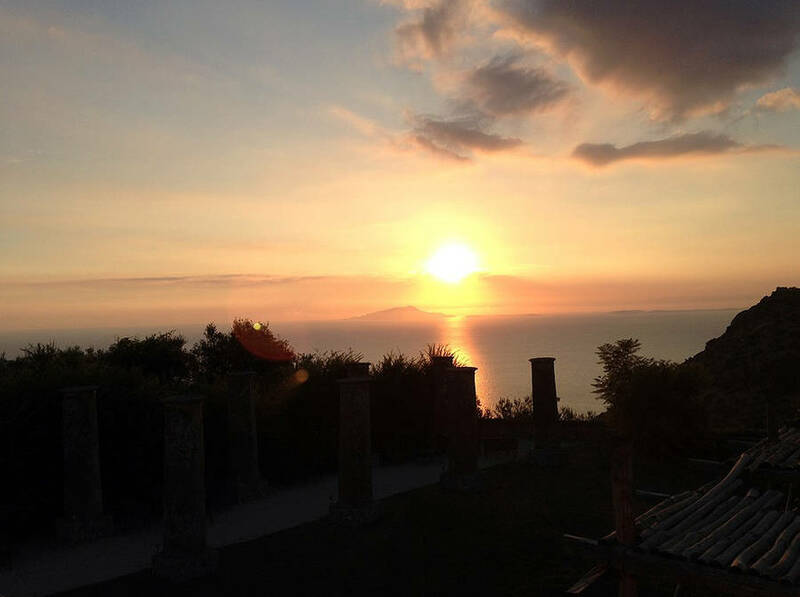 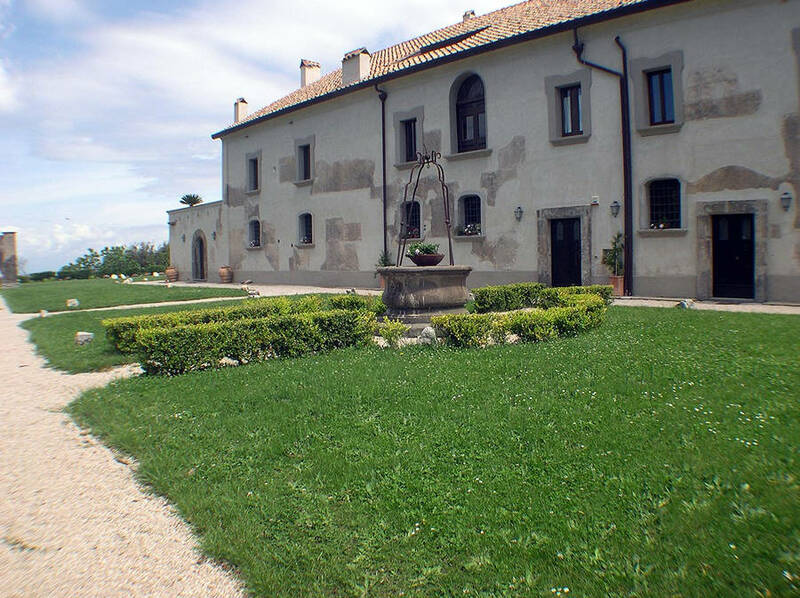 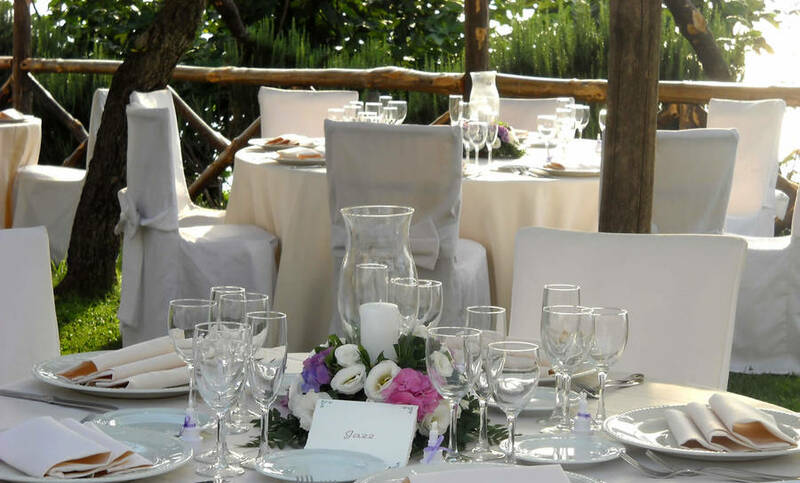 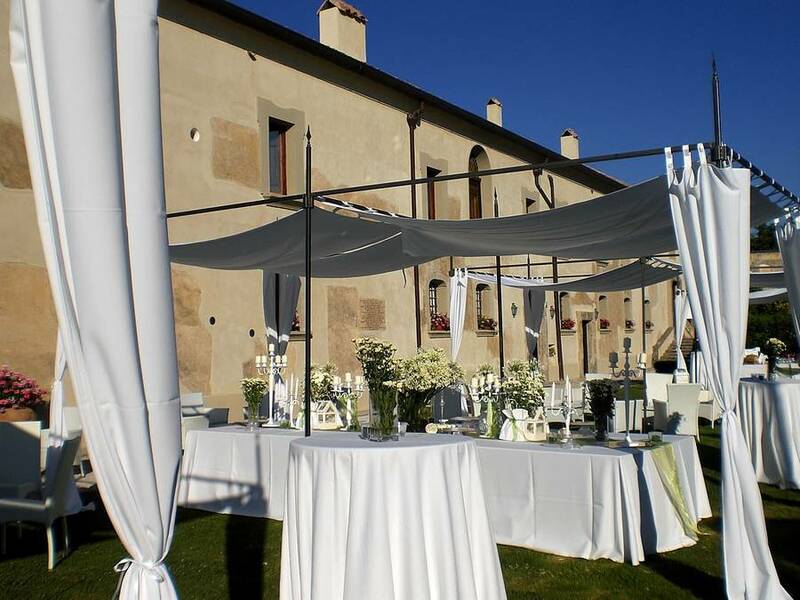 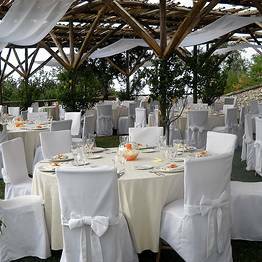 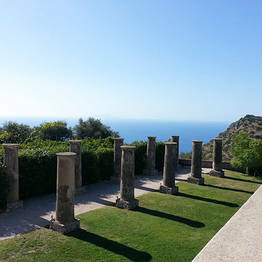 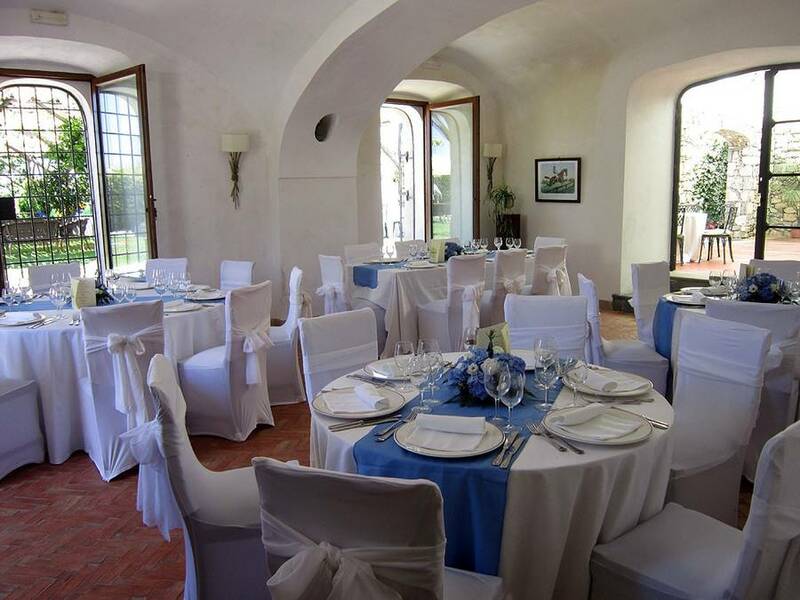 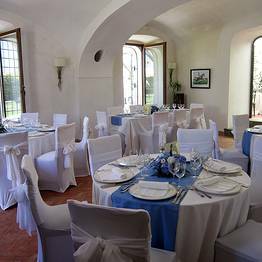 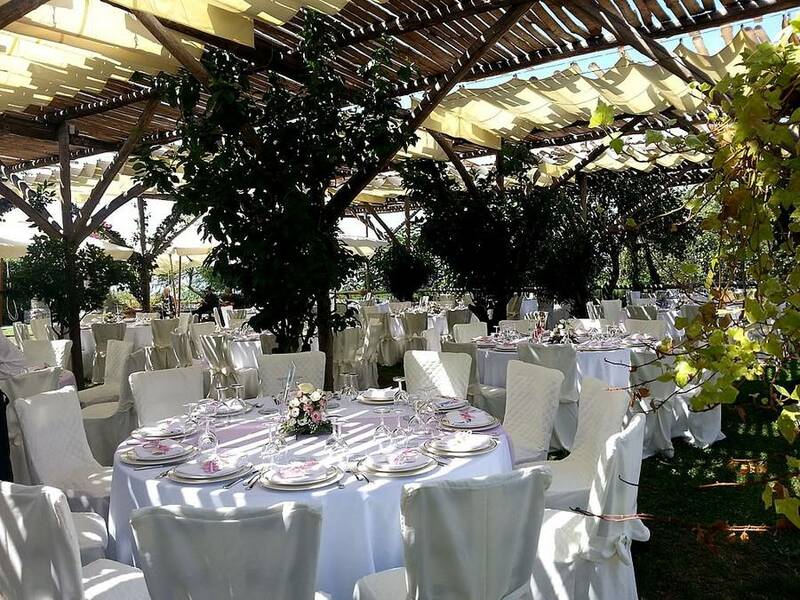 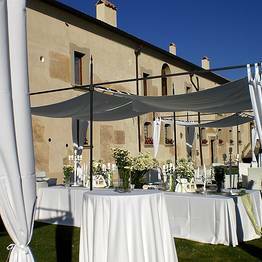 Your country wedding: the estate's grounds include a colonnade and scenic overlook facing the Mediterranean, and are the perfect venue for a destination wedding in Sorrento or for private parties and special events. 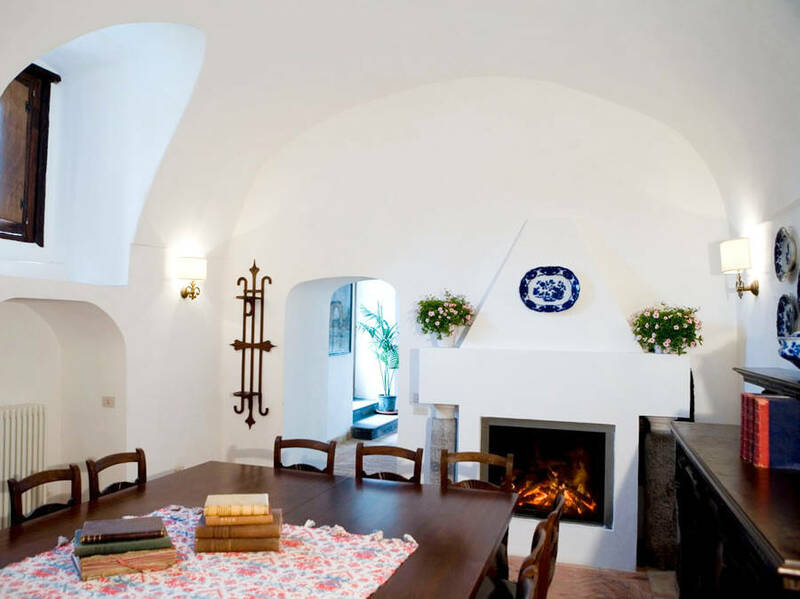 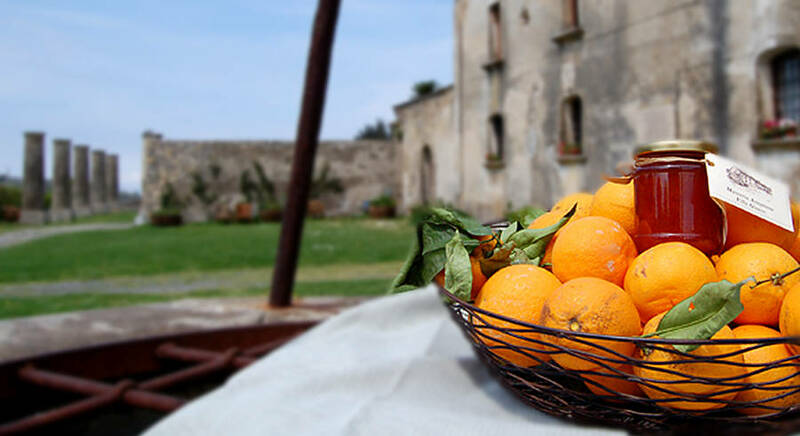 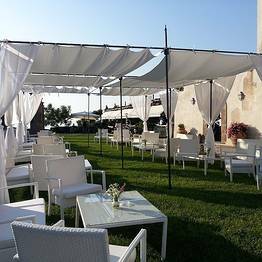 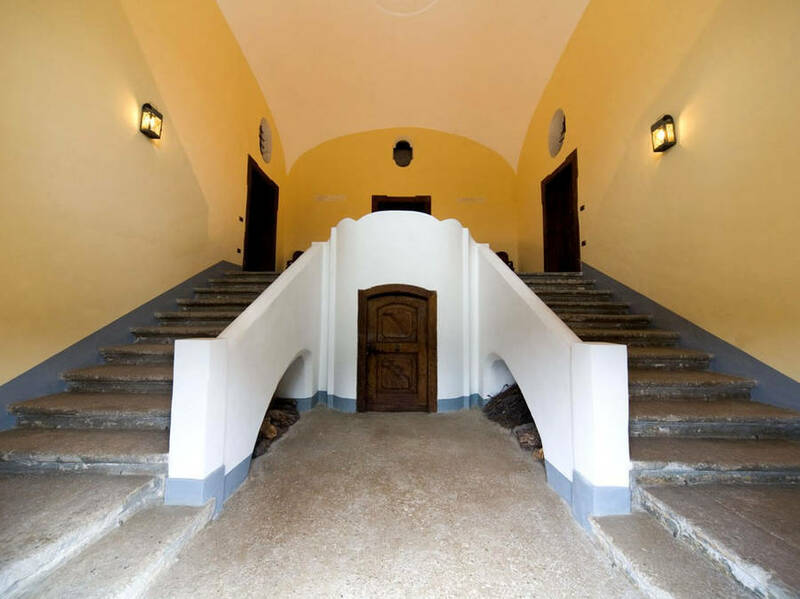 Masseria Astapiana is an agritourism, sharing the rural traditions and culture of the Sorrento Peninsula with guests and visitors from across the globe. 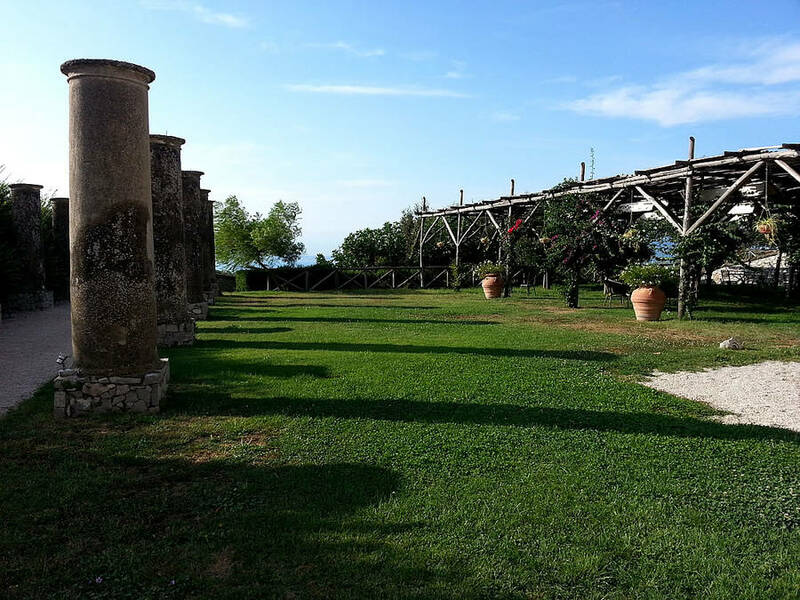 The estate is a working farm, with planted fields and a historic olive grove used to make DOP extra virgin olive oil from the Sorrentine Peninsula; in the autumn, guests can participate in the olive harvest. 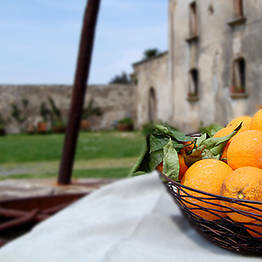 To help demonstrate the local farming traditions and customs, the estate includes a teaching farm with lessons for visitors on how to prepare bread, make cheese, and cook true Neapolitan pizza. .
Masseria Astapiana Villa Giusso is situated on a hill in the countryside of Vico Equense, a small town on the Sorrentine Peninsula, close to Sorrento. 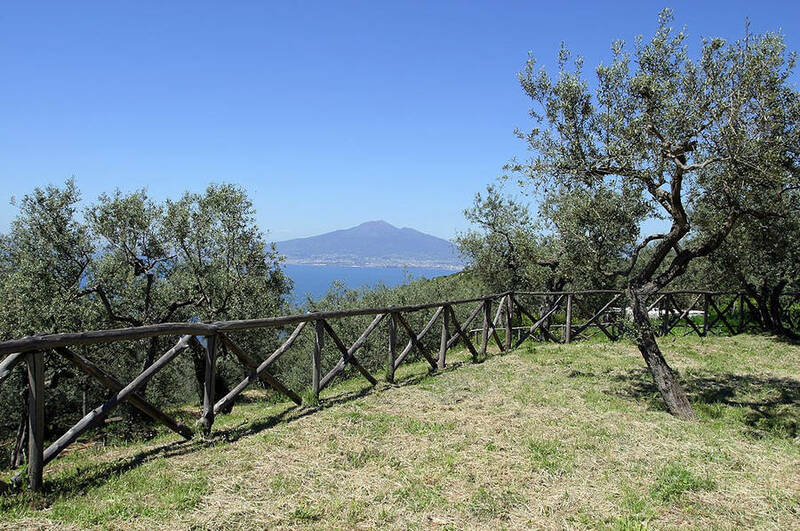 In the heart of the Lattari Mountains, the area boasts excellent trekking terrain and is home to a number of spectacular walking paths such as the Sentiero degli Dei and the Alta Via dei Monti Lattari. 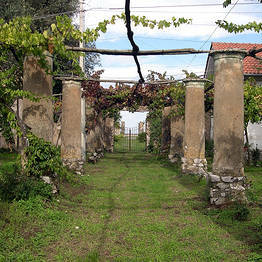 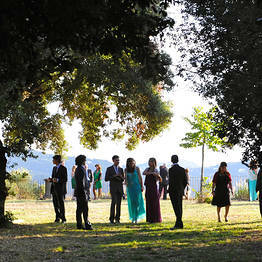 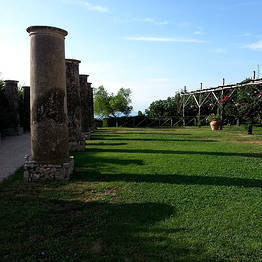 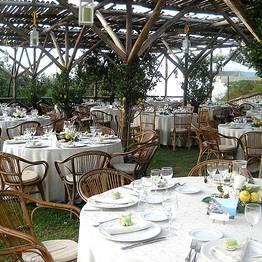 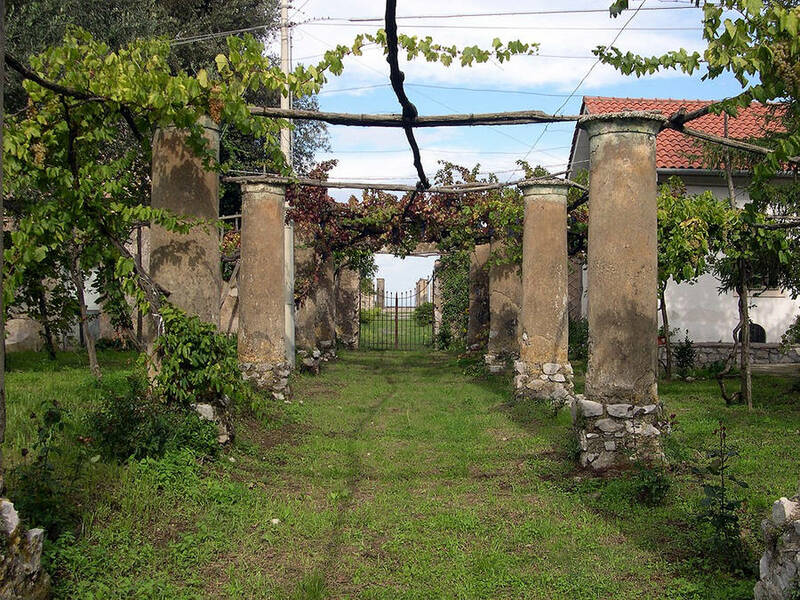 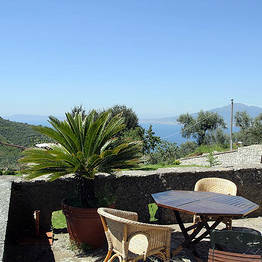 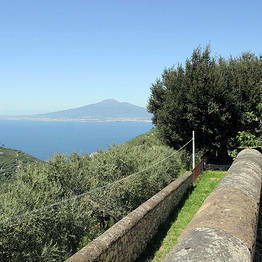 Vico Equense occupies a particularly fortunate position, close to many of the Campania region's most important sites. 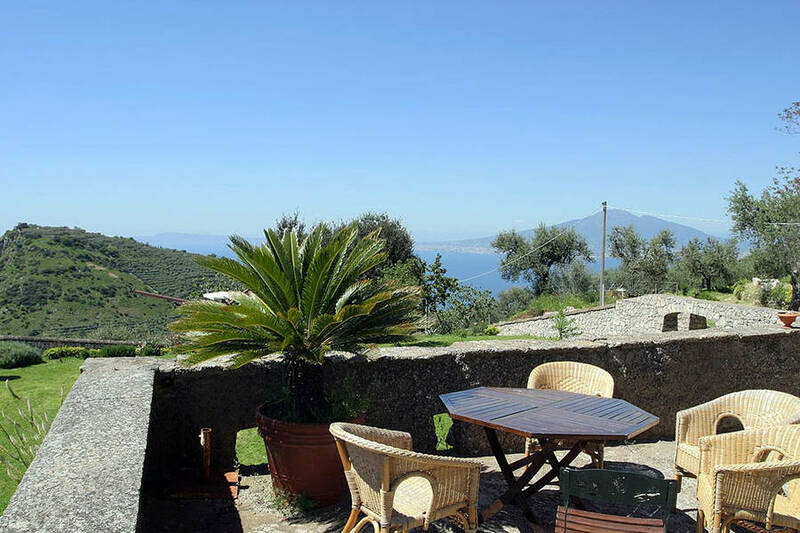 Positano, Punta Campanella and Sorrento are all within easy reach. 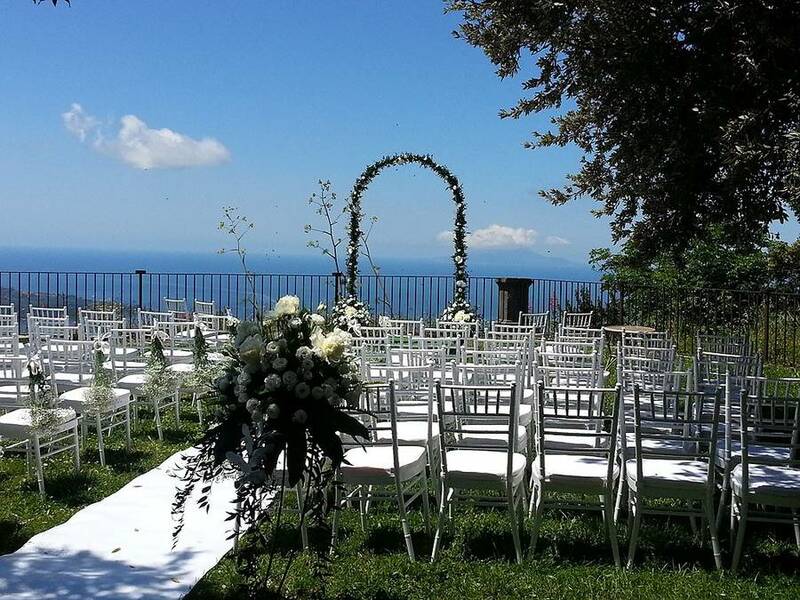 Amalfi and the other picturesque villages of the Amalfi Coast are only slightly further away. 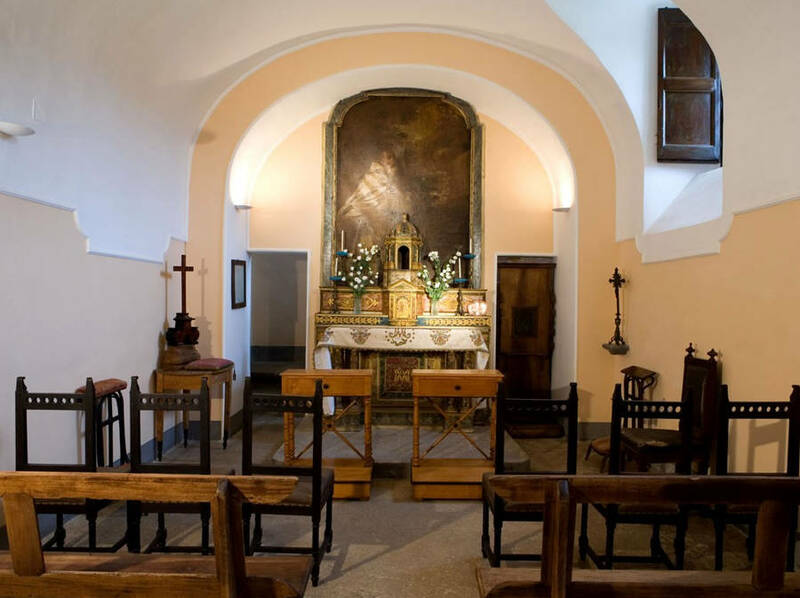 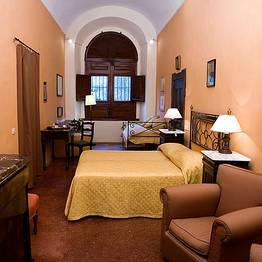 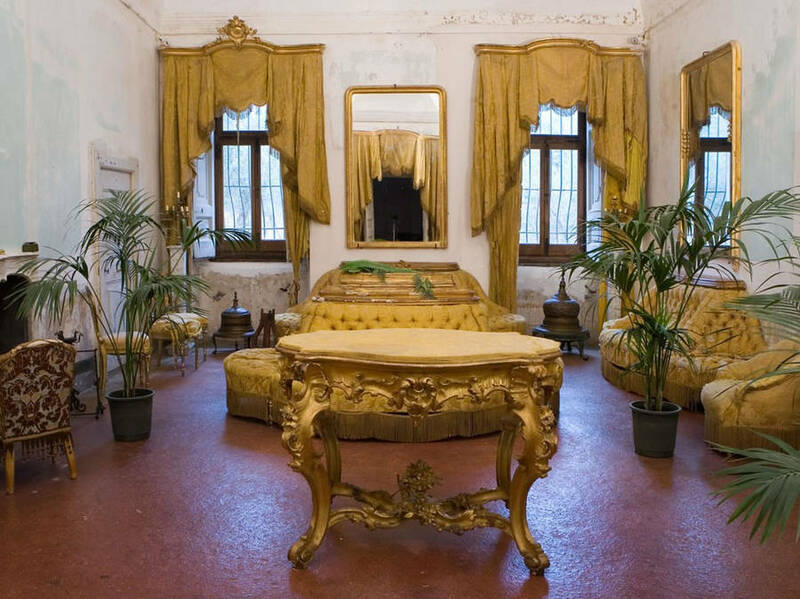 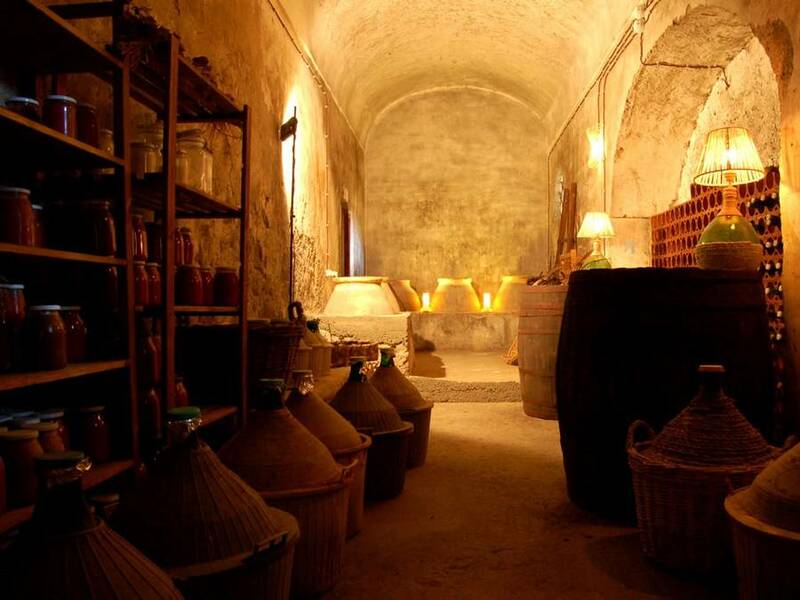 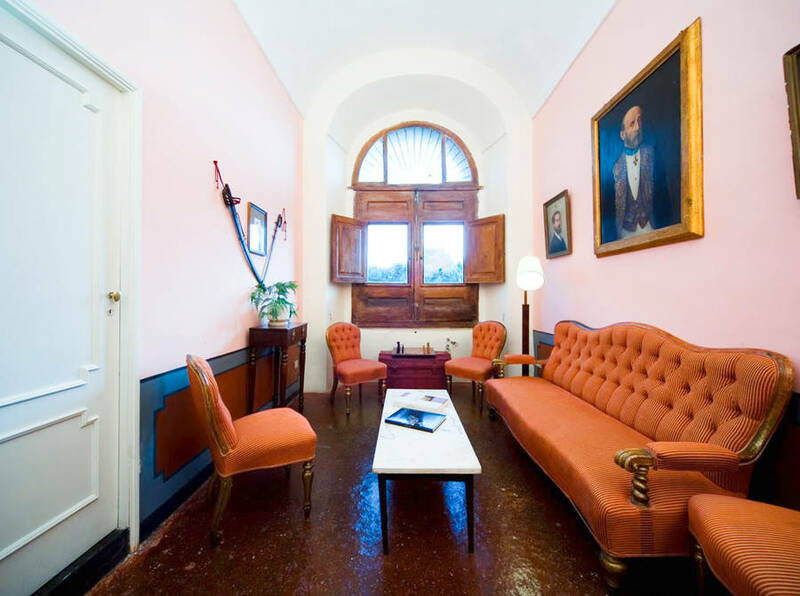 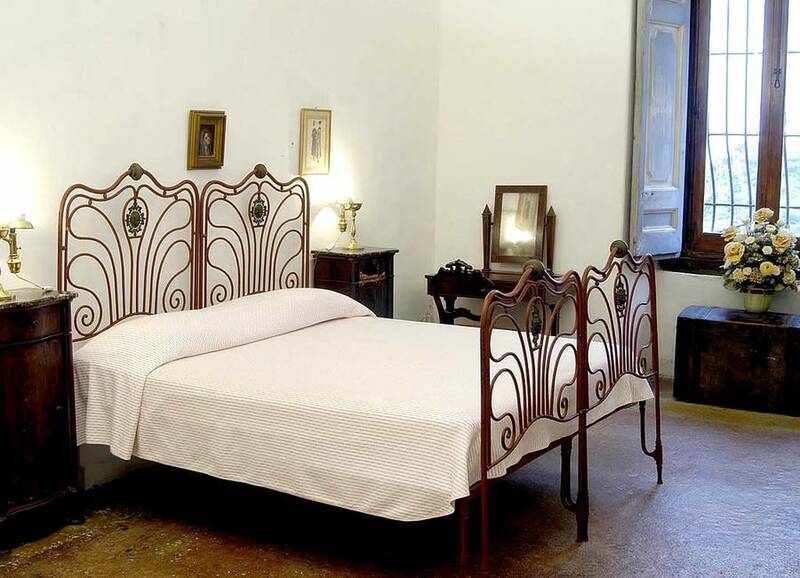 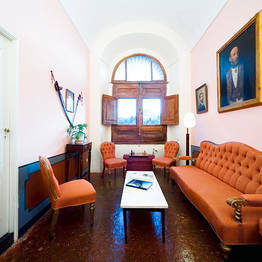 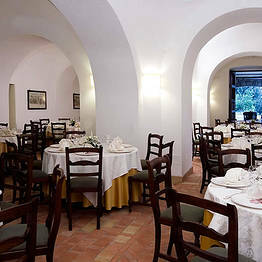 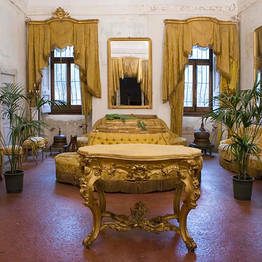 The city of Naples is just an hour's drive from the Masseria. 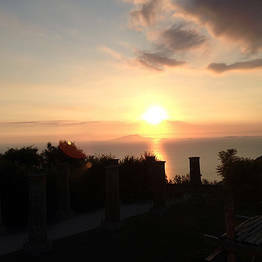 From Sorrento, hydrofoils regularly depart for the nearby island of Capri.